Comment: Home has mouse problem, they recently bit into piping in and to refrigerator causing major flood and damage -- repairs to commence soon. See droppings all over, just saw mouse run across living room. Comment: I am hearing what sounds like a small animal (animals?) in the attic/crawlspace of my home. I don't know what type of animal it is. Comment: Found a 10 inch wasp hive hanging from the second story soffit of our house. Comment: Found a 10 inch bee hive hanging from the second story soffit of our house. Comment: Vacation home in Harwich that needs to have a major infusion of mice elimination control and then quarterly updates to be sure home continues rodent free. Harwich Pest Control Services are rated 4.58 out of 5 based on 527 reviews of 9 pros. 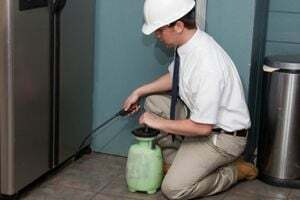 Not Looking for Pest Control Contractors in Harwich, MA?